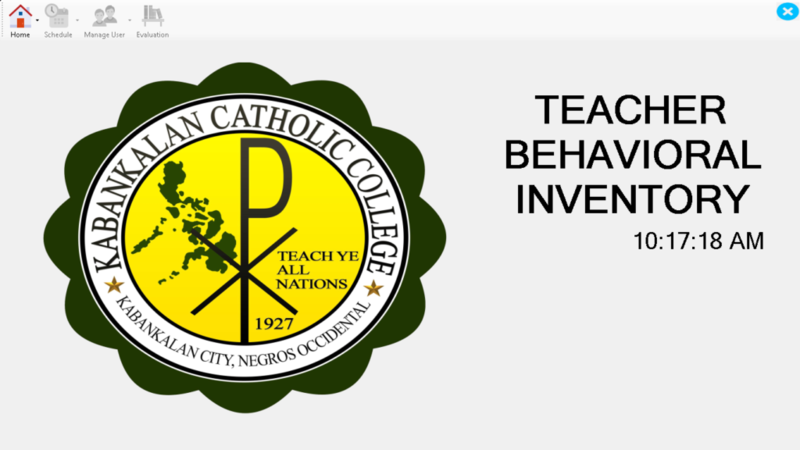 This source code is all about KCC Teachers Behavioral Inventory System Source Code Version 2. Teacher Behavioral Inventory Each section of the inventory begins with a definition of the category of teaching to be assessed in that section. For each specific teaching behavior, please indicate the frequency with which you exhibit the behavior in question.Features of the System. Added Crystal Reports for printing.